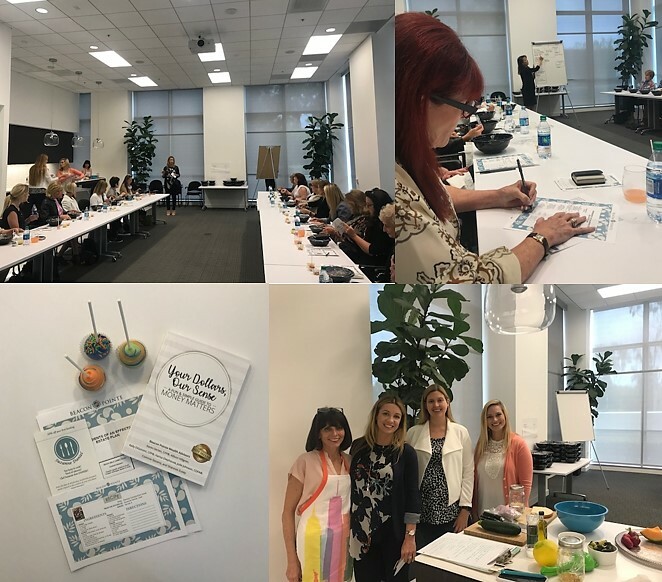 On Friday, May 18th, 2018, our Newport Beach office hosted a Women’s Advisory Institute (WAI) event which turned out to be quite a success! We welcomed Chef, Suzanne Daniel, to demonstrate her favorite summer salad recipe. We then heard from Leslie Daff, Estate Planning Attorney and one of our long-time business partners, to discuss the ingredients of creating an effective estate plan. Each event attendee walked away with a copy of the Your Dollars, Our Sense book as well and had the opportunity to speak to a couple of the authors in person. Thanks to all our guests for making it such a fun and successful event!